Hi guys! Just a short post today. Last week I posted my recipe for real handmade salt water taffy. 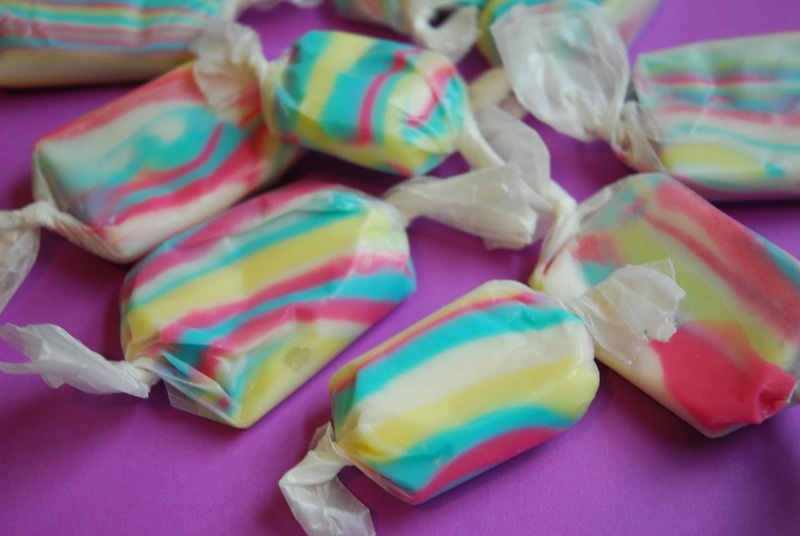 In the process of researching that recipe I made a few batches; this psychedelic rainbow taffy was actually my first taffy attempt, and it turned out a little chewy (I didn't use glycerine) but otherwise tasty (I added coconut flavouring oil) and very very colourful. 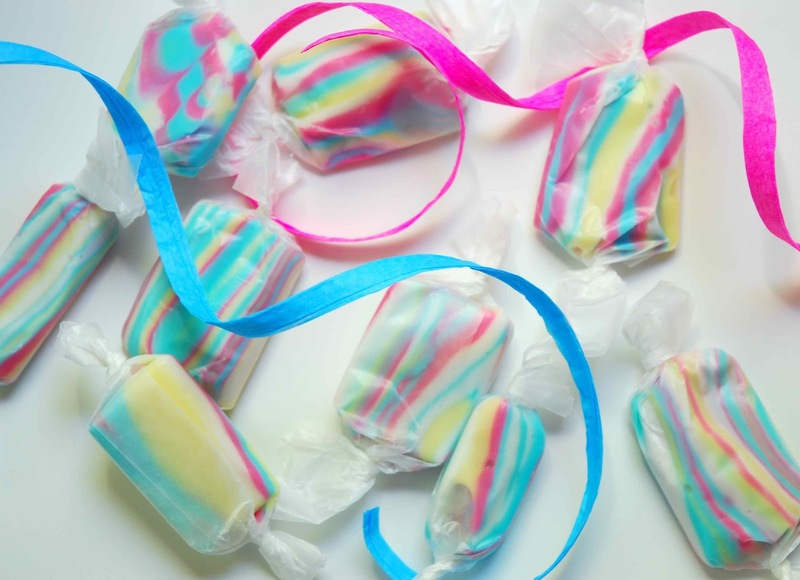 To make the rainbow taffy, you follow the original taffy recipe, and instead of pouring the hot liquid candy onto two cookie sheets, you divide it on to four (or five or six!) sheets, and make a whole bunch of different colours. Knead and pull each colour separately, then stretch 'em out, wind them together, and pull them some more to create a wonderful almost tie-dye effect. 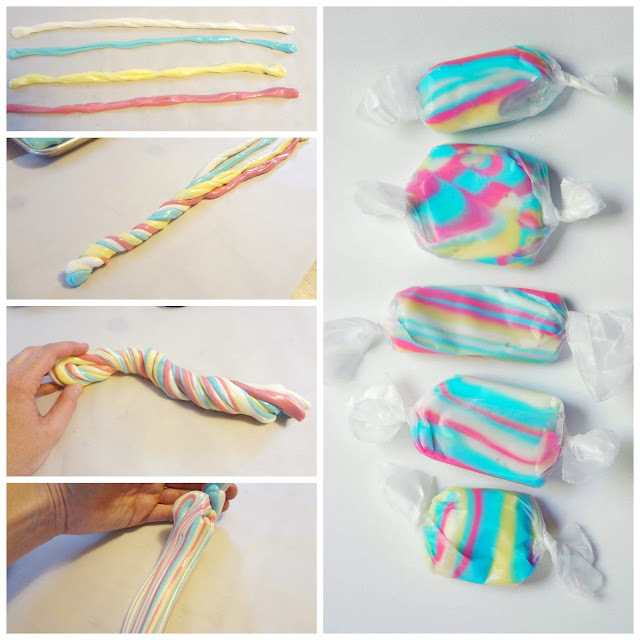 Take a small section from each colour taffy and pull or roll into a rope; wind the ropes together; fold in half and twist some more; begin to pull the taffy, allowing the colours to stretch and blend. 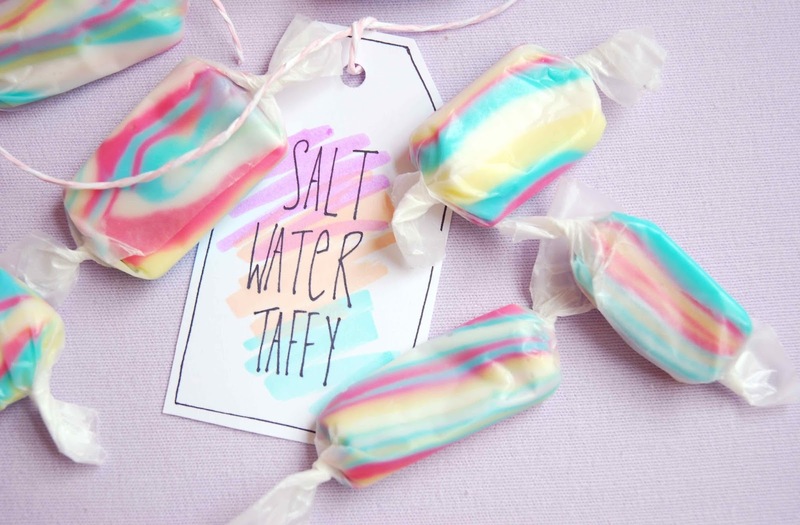 When the taffy looks the way you like (pull more for thin strips of colour, less for fat sections of colour) stop pulling; roll out one long, thick rope and cut into small squares. Repeat with remaining taffy.